Danceable Rock | Wedding Wisdom, Etc. 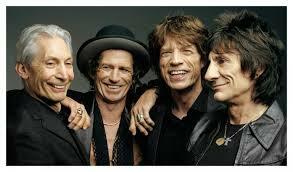 “Sweet Caroline” is one of the most interesting “rock-ish” tune in our repertoire. It’s not a great song, but it is astonishingly memorable. It is so universally adored that I’ve never played “Sweet Caroline” when it wasn’t one of the biggest hits of the party. It also seems to be ageless, and genre-less. Everybody knows it, and everybody feels totally comfortable belting out the lyrics with our singers. That is a rather unique response to a very average song. A lot of people know some words to most tunes. But, with “Sweet Caroline” it is not uncommon to have the whole party singing with their arms around each other. 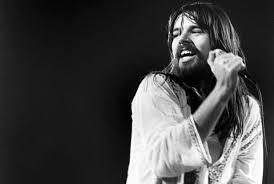 The most interesting element of the song, if you listen carefully, is the orchestration. The opening melodies are played by a French horn, followed by an oboe. When the famous “hands….” portions starts, it’s accompanied by shimmering strings, followed with a full horn section. All in all, it’s simply a remarkably famous song that people love to sing with, rather than dance to. But, as long as people are having fun, it’s all good. Here are the lyrics, which according to YouTube, was dedicated to President John Kennedy’s daughter, Caroline. Rock band Bon Jovi’s 1986 song “Living On A Prayer” remains as popular today as it did when it was first released in 1986. The lyrics tell about a financially strapped blue-collar couple named Tommy and Gina trying to make enough money to survive. Hence the title…”Living On A Prayer.” The instantly recognizable bass line is dynamic enough to pack a dance floor before the first note is sung. 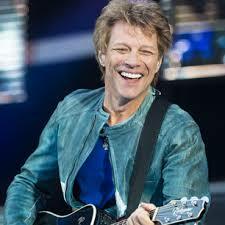 Lead singer Jon Bon Jovi’s crystal clear tenor voice carries the melody over screaming rock synthesizers and guitars. What distinguishes “Living On A Prayer” from so many other rock anthems is the key change near the very end of the song. The strength of that dynamic musical change takes the song to another, even stronger level of excitement just as you think the song is peaking. The fact that he can even still sing the song in the original key after thirty years later is astonishing on its own. The video, shot live at Madison Square Garden as part of a benefit for the victims of “Hurricane Katrina,” shows Jon Bon Jovi starting the song out a capella, and is quickly joined by the entire crowd before the band kicks in to start the song in its original form. The full album, “Slippery When Wet,” written by bandmates Jon Bon Jovi and guitarist Richie Sambora also contains the band’s two other most famous songs…”You Give Love A Bad Name” and “Wanted Dead Or Alive.” “Living On A Prayer” is still one of the most popular songs we play at parties, and invariably gets the guests involved, singing along, just like the slightly larger crowd at Madison Square Garden. Definitely a guaranteed crowd-pleaser. I couldn’t write a better description of the Aerosmith-Run DMC collaboration than this one that originally appeared in TIME Magazine. The only thing not mentioned in this insightful review below is that the original Aerosmith version reached #9 on the Billboard Charts in 1975. Then the reworked collaboration reached #4 eleven years later, which is pretty impressive. Here’s TIME Magazine’s account of the song’s history. Either version of this seminal rock tune works amazingly well on the dance floor. Love this song. You can’t sit this one out. What do you think? Enjoy it! When Robert Palmer’s video of his mega-hit “Addicted To Love” on MTV in 1985 it caused a major sensation for its obvious sexuality. But the song, as well as the video, was such an instant hit, and Palmer was already such an established and well respected singer/songwriter that it was taken as mere “tongue in cheek” humor. The exact same thing can, and should, be said about the video for “Blurred Lines” which is a blatant rip-off of Robert Palmer’s “Addicted To Love.” The only difference between the two videos is that the girls were totally naked in “Blurred Lines.” The terrific filmmaker Richard Curtis pays tribute to the “pouty girls backing up the singer” genre in his much-loved romantic comedy, Love Actually. Almost thirty years later, Robin Thicke and Pharrell Williams were taken to court and ordered to pay damages to the estate of Marvin Gaye because they more or less stole his song “Got To Give It Up.” What I never understood is why Pharrell, who is a brilliant businessman, as well as an incredible songwriter and producer, didn’t just announce that the song was an homage to the great Marvin Gaye, and negotiate a fee, or a portion of the royalties to Marvin Gaye’s family before he released the song. But rather than make this a condemnation of the authenticity of “Blurred Lines’“, I want this post to give kudos to “Addicted To Love” as a strong, guitar-driven song that successfully blurred the lines between dance music and rock ‘n roll. Watch the video, listen to the tune….and let me know what you think. 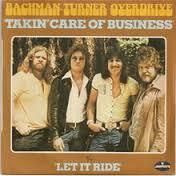 Takin’ care of business and working overtime, work out. This song definitely meets at least two of my prerequisites for a guaranteed successful (wedding) dance song: 1. An instantly recognizable instrumental guitar hook; 2. And easily acquired “sing-alongability.” It’s really is perfect to add to our Classic Rock repertoire. My only goal at any party is to get the dance floor packed, and keep it packed for as long as possible. Rule No. 1 People dance to songs to which they can sing along to, or are at least familiar with. Although we haven’t played this song in at least a dozen years, it’s fun to consider it here on a Throwback Thursday. Rule No. 2 People are much more likely to start dancing to songs whose instrumental introductions are immediately familiar. Other examples would be the guitar intro to Lynyrd Skynyrd’s “Sweet Home Alabama,” or The Rolling Stones’ “Start Me Up” (or any of a dozen other Stones tunes.) Usher’s 4-note synthesizer intro to “Yeah” is a more contemporary example of song introductions that get people running to the dance floor. Don’t forget about oldies “Shout,” and “Twist ‘n Shout.” I think you get the idea! 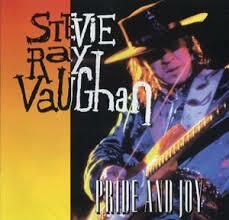 The lyrics to Stevie Ray Vaughan’s rock classic “Pride and Joy” don’t much deeper than “Yeah I love my lady, she’s long and lean…she’s my swet little baby, I’m her little lover boy.” But the no-prisoners guitar and hard-driving lyrics propel this blues anthem into a perennial party favorite. We first played “Pride and Joy” with the father of the bride singing lead and playing guitar. Now that was fun. Any time you can make a wedding feel more like a “black tie frat party” you should go for it.